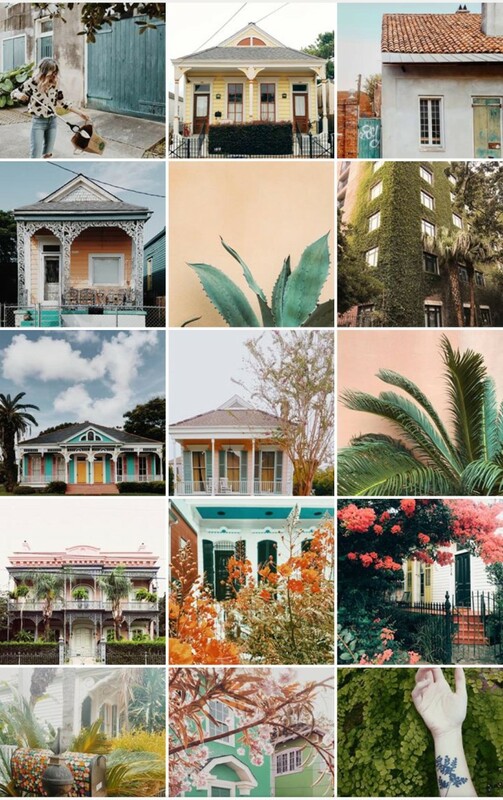 One of our favorite things to do in New Orleans is walk around the neighborhoods to look at all the beautiful homes and lush plants and while NOLA may stand out in beauty unlike any other city, it’s no stranger to trash. We dedicate some of our walks to picking up this litter to save it from running into the gutters and the ocean. Once you start to pay attention you’ll probably notice there’s a lot of garbage around your place of residence as well… so what can you do to help? Pick it up! I’ve partnered with Fracture to bring awareness to this subject. To show ways that we can help make the world a better place, it doesn’t take much!! Picking up trash is what I’ve chosen to share but they want to see what you are doing to help as well. You can read more about their #FocusOnMoments campaign to see what you can to to help and how to win some of their products. I had a few moments from our walks printed with them. 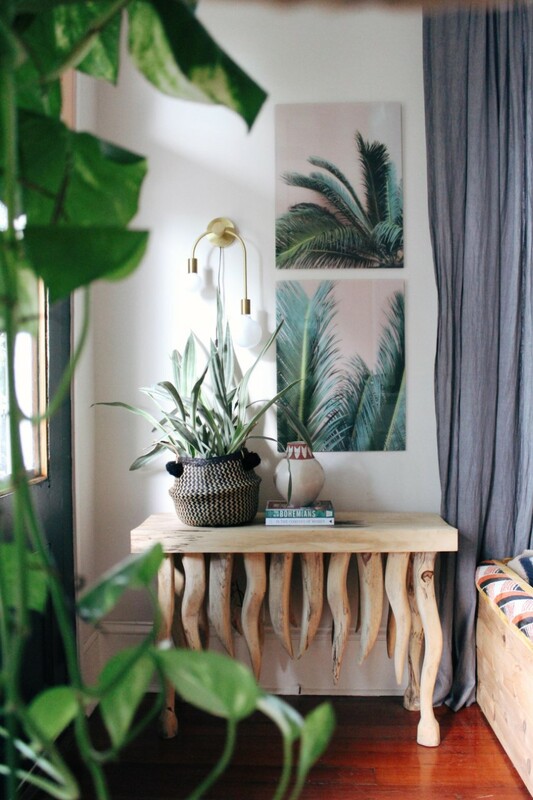 Each order is made by hand in a carbon neutral factory at its Gainesville headquarters, and safely delivered in environmentally friendly packaging. Use the code LIZKAMARUL10 to save $ on your unique glass print from Fracture. Fracture prints on glass! To win one of these prints be sure to check out my Instagram for details. Winner will be announced on 10/22. Now, as promised, some of my favorite homes from #ourNOLAwalks and the neighborhoods they’re located in. I’m not giving exact locations because searching is part of the fun. And don’t forget to bring a garbage bag with you to help keep these streets clean!! FRENCH QUARTER: It’s no secret the french quarter is full of unique beauties. 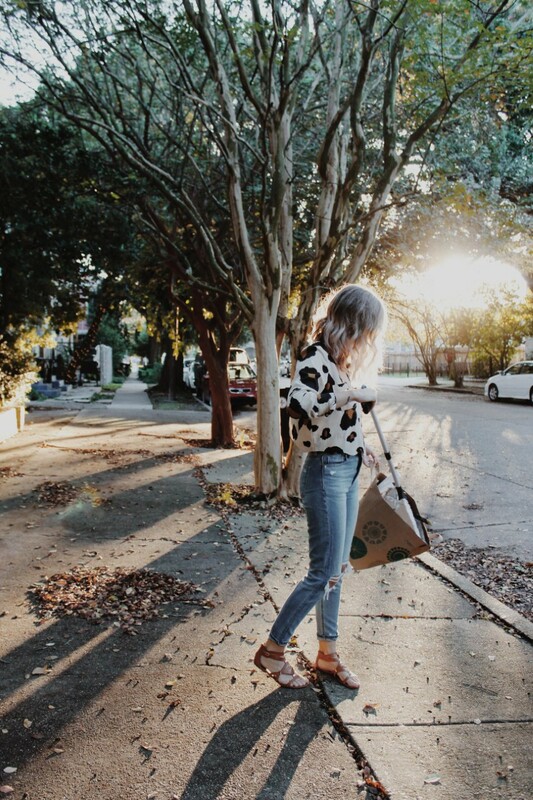 LOWER GARDEN AND GARDEN DISTRICT: Not to be missed. Full of enormous and ornate homes like this one. CARROLLTON: Has plenty of colorful photo ops. 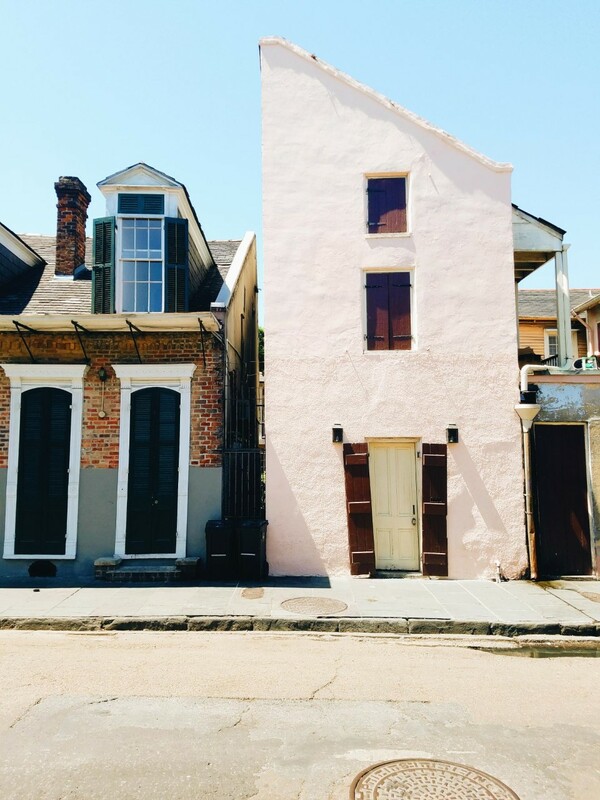 ALGIERS POINT: It’s only a ferry ride away and has plenty of charm on its own. IRISH CHANNEL: So close to the garden district just keep walking towards the river and discover all the beauty. UPTOWN: Yep, more charm around every corner. CENTRAL CITY: It may be known as a rougher area but has some classic stunners as well. 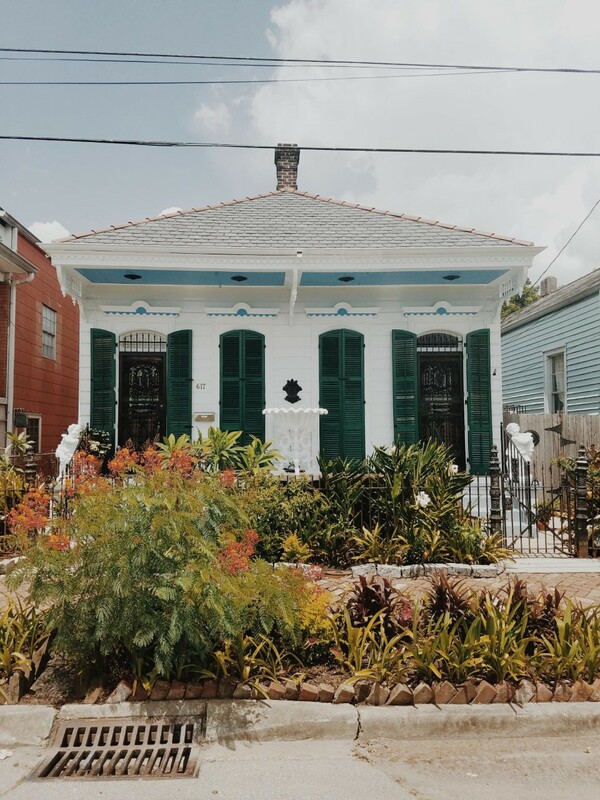 THE BYWATER: Did I save the best for last? In my opinion, yes. The Bywater exudes charm and this home pretty much sums up New Orleans in my mind.